You can’t simply take cad yellow and mix some black in (on no, that will not work). Brown might. Because what we call brown is actually a low value orange, and shadows on yellow things move hue slightly toward orange. But that doesn’t mean you can use any old brown. You see, I think there’s a common misconception that in order to paint light and shadow, you grab a tube of paint that’s somewhere near the colour of the thing you’re painting, then lighten it with white (or something) for the lights, and darken it with black (or brown, or something else) for the shadows. If you want to create a feeling of light and form, that simply will not work. What will work is finding out what the colours you’re perceiving really are, in the light and the shadow, and then using whatever tube paints you need to mix them. Of course, there’s a bit more to actually getting that right. One of the most useful things I’ve learned about colour is that the finer subtleties are very important. Our perceptual systems (mostly our brains, since most of seeing happens there) are extremely sensitive to changes. Unfortunately, those changes are difficult to isolate and get right in paint, because our perceptual systems have evolved to help us understand what’s solid in our immediate environment and where it is in relation to us. We didn’t evolve to paint well. So we have to train it. We have to train our perception of colour for painting so that we can paint better. 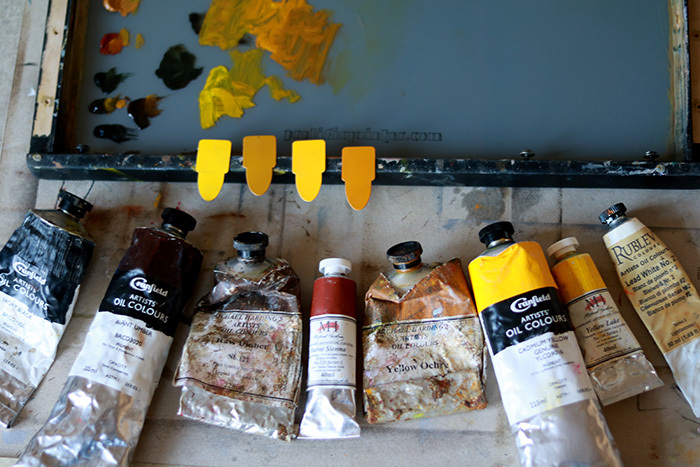 I’ve found that a very effective way to do that is to isolate the colours we perceive and then mix them accurately. The big advantage of doing it this way is that you can start to glean a deeper understanding about how colours change from light to shadow, no matter what colour the local is. That’s invaluable knowledge, and can make the difference between an ok painting and one that lives. Even if it’s just a simple study. Here’s a recording of a live stream I did on facebook yesterday explaining how I approached those tricky, high chroma, yellow shadows. And that’s almost all I needed to paint the daffodil. I used lead white because it’s slightly yellow and also transparent, in comparison to titanium white, so helps me raise the value of yellows without losing too much chroma (chroma loss in the lights is what people really mean when they say “chalky”). If I was painting something more towards a green/blue/magenta local or if high chroma wasn’t an issue, I could have used titanium. But I also like the gloopy, gooey stringy-ness of lead white. I like that you can pile it on thick and make raised edges and it sits where you put it. The edges of the radial petals were done with it, titanium wouldn’t have worked as well. I’ll let you judge that for yourself. 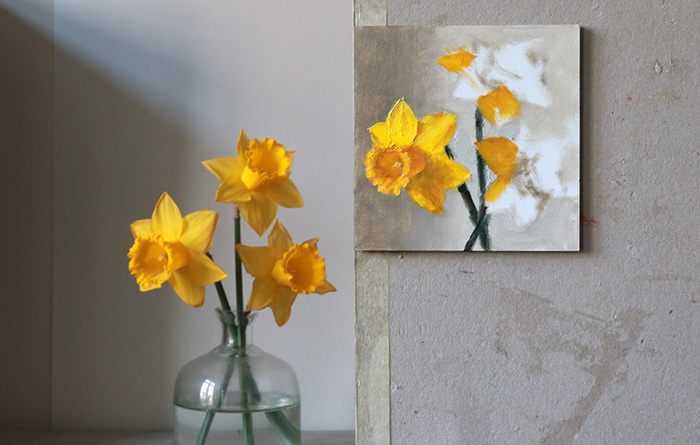 This morning my eldest boy (he’s 9) came into the studio when I was making a few adjustments and I asked him what he thought of the daffodil. “It looks like a fish,” he said. If you have any questions about any of this, pop them in the comments and I’ll do my best to answer them. Love Daffodils, thank you for posting this Paul. I have to paint them now. Oh, just lovely,Paul!! Have you finished the painting yet, as I would love to see the finished product!! You have taught me so much about colour mixing over the last few years, Paul, and you have no idea how much I have appreciated this!! Thank you drim the bottom of my heart! Always love seeing your work Paul thank you for sharing. Love the painting, and great advice! Thank your for the posting Paul. As usual, you are always surprising us with new things to learn. It is greatly appreciated. What I learnt in my early stages of painting, I red that you can use opposite colors to either lighten a color or to use it for shadows. Until I found you and the Munsell color guide. I also found out about the transparent white which makes things much easier. I can see how much struggle was to find the right mixes for the darker yellows ( Shadows). In my experience, I’m so happy for the Munsell color guide, with a bit of patience and dedication you can get for the most part any color you need. Thanks again for sharing the steps you went through to get what you need. A fish? That is what he saw! Nothing wrong with that! Lol. Many blessings. Hi Paul , great video , loved the flowers and how delicately you applied your paint , almost like touching the petals themselves. Also thank you for being so informative I didn’t know about lead white. PS never worry about your children being in the video or about there ability to humble! They are precious every one. 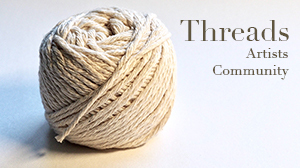 Paul – Thank you again for your generosity in sharing your observations and creative process. I think the mid-atlantic region of US may have a similar Nature timeline with your section of the world – daffs and cherry trees are in bloom all over. Enjoy Spring. Thanks Marilyn, I’m glad it seems peaceful since it means that all the turbulence that’s going on underneath while I paint doesn’t show on the surface! Seriously, though, I do think that when I’m actually painting and just laying down strokes, sometimes it does feel very calming – usually when it’s going well I think. I would say that’s kind my ideal way to paint, and to create anything really, not worrying about the end result and just concentrating on the process. I don’t achieve that often enough I don’t think, I’d certainly like to have ti be that way more. When you say “just green”, do you mean just off neutral? Close to grey? that’s a really interesting idea, I do that a lot for backgrounds but hadn’t considered it for shadows – or lights, where presumably it could be used too. I’m all for adding life and depth, so I will try that next time I’m at the easel. Thank you! I just tired to paint a yellow flower on a redish gound , that did not work. Maybe white works better to keep the yellows bright. I am exited that you use lead white. I love it and use it a lot. Some of it has zinc in it, to make it cooler. Although our paletes /paints are slightly different, the principals are very similar. So thanks, I learned a lot. PS: Do you think I can get the chroma without using cadmiums ? Hm, I don’t think so. I used two tube yellows here, cad yellow and yellow lake (PY 74 I think, which is a slightly more greenish yellow) but I don’t know of anything that will get you the chroma in a warm yellow like cad yellow does. I may be wrong. Yes, for high value colours with high chroma, it’s better to paint on a light ground. Beautiful painting and gorgeous colors.